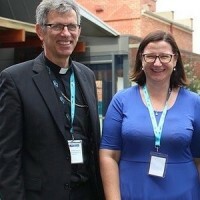 Catholic Social Services Australia has gathered its extensive network of agencies together to review, reimagine, and renew in the face of the Church’s current challenges. The panel focused on the Year of Mercy and what Mercy means in the context of Catholic Social Services. The leaders also commented on the need to be compassionate, non-judgemental and the importance of Gospel centred responses to vulnerability.